OMG!! Sorry it's been a year since my last Miku model, lots of IRL stuff going on, but as I wait to purchase Project DiVA X for PS4, I couldn't forget my idol's birthday, which is tomorrow! 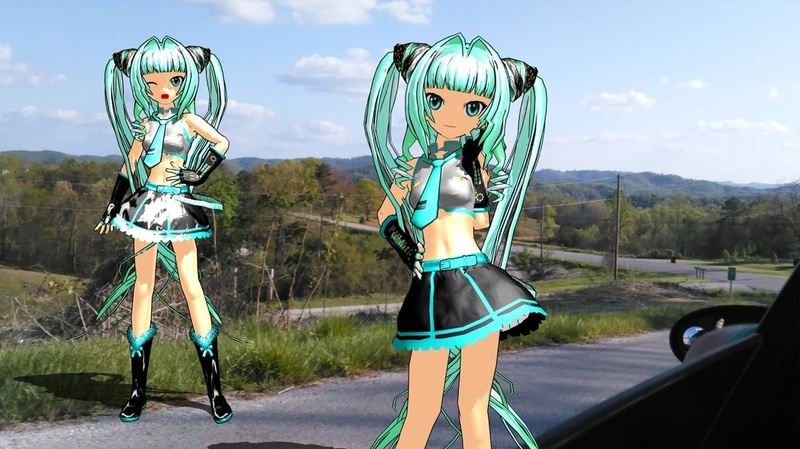 This sassy new adult Miku has a familiar Kio base. 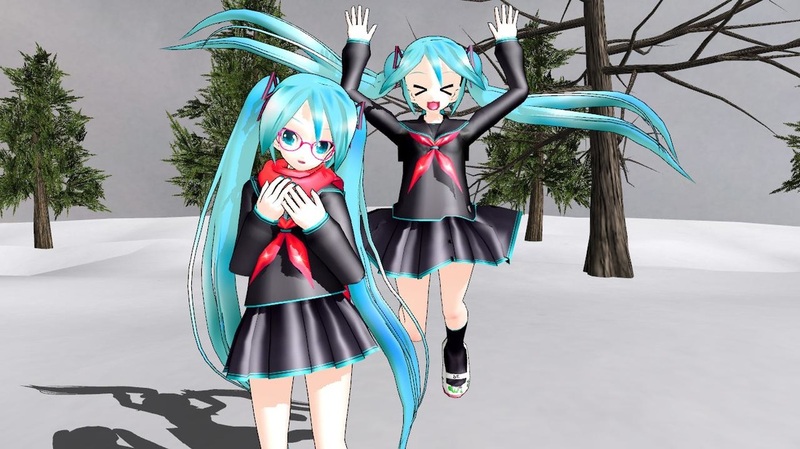 That's because I used the Kio Meiko Sakine model that comes with MMD. Why didn't I think to re-use this outfit before? Anyway, edit and have fun! So I figured this would be a good time to do a classic model, using a safe-to-edit LAT base of course. Since the model is so bright on her own, I couldn't decide on doing a soft or a shiny model, so I'm leaving the decision to you. She has two .spa files, so you can decide with PMD Editor how you want her to look. I hadn't done a new school model for her in a while, and here in the US, school season officially started a little while ago, so I went with a classic black outfit, since this Fall and Winter are said to be really harsh this year and very dreary. But who can be dreary when you have Miku smiling like that? OH!! Be sure to test out her facials! The original model had a secret pair of shoes, so I fixed it so you can swap her shoes in mid-animation if you'd like. Miku Hachune is on them! 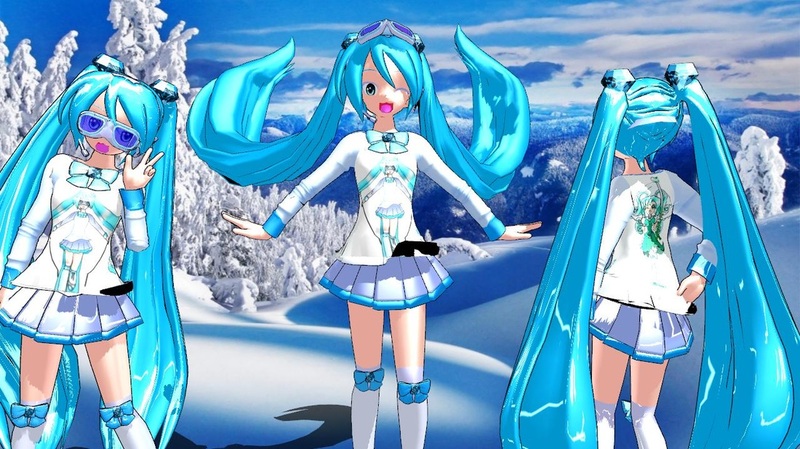 If you check out my Piapro account, you'll see that I've entered the 2016 Snow Miku Nenderoid contest. But my submission looks different from my original concept. The current entry has a beanie and way smaller bows. But above is what I was originally planning. Something girly, but also sporty. I just wish I could have added skis for her and fixed her t-shirt glitch. >< My bad!! Anyway, feel free to edit her. ^_^ She's wearing two drawings of mine, one on her front and one on the back. 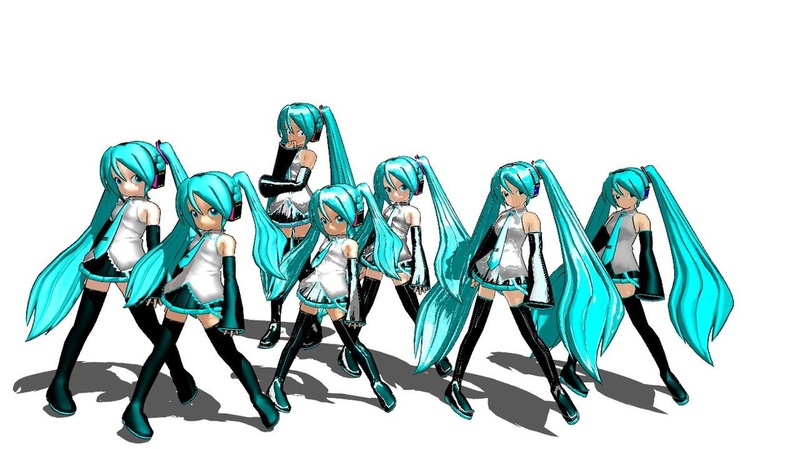 What sort of trickery will you put Miku in? She has removeable glasses! The top and skirt are from 3dCG and tehrainbowllama made the braids. Soooo awesome! Miku-chan came out a little cute and a little sultry on this one. I wanted to go for an icy theme, and this hair really captures what I was aiming for. So bouncy! It plays nicely off of her flouncy, princess top, and her upside-down cupcake skirt. ^_^ I can't wait to see what you will do with her! I wanted to celebrate with something a little bit fun, so I went with a new hairstyle for her, and hand-drew her some new tights on a .jpg file. Hope you like it! 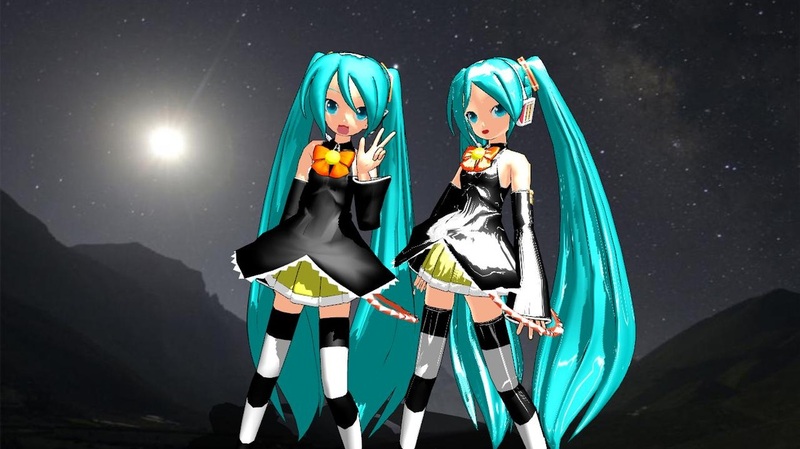 This is the first time I have ever done a Halloween Miku. I was inspired by a post made on the official Hatsune Miku Facebook page, and while it isn't totally like the new Nenderoid, it's pretty close. Mickey 103 made the bow. Everything else is pure Animasa! 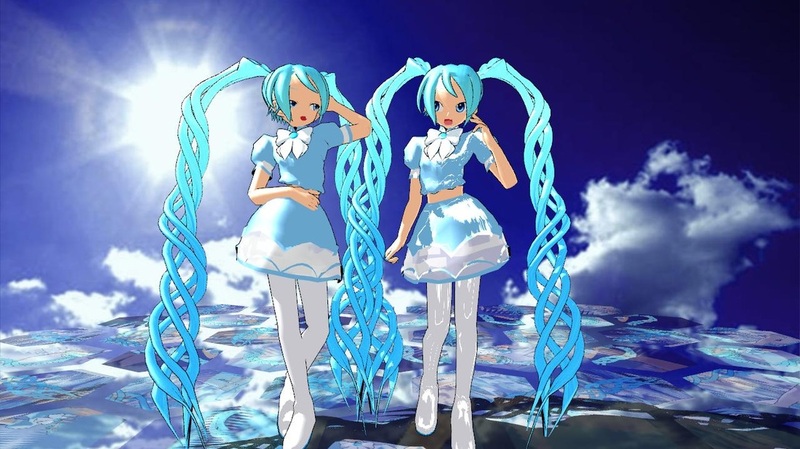 To compare, in the back is regular sized Miku. In the front? We have Kid Miku, Little Miku and Tiny Miku! Each one is just as cool as the original. 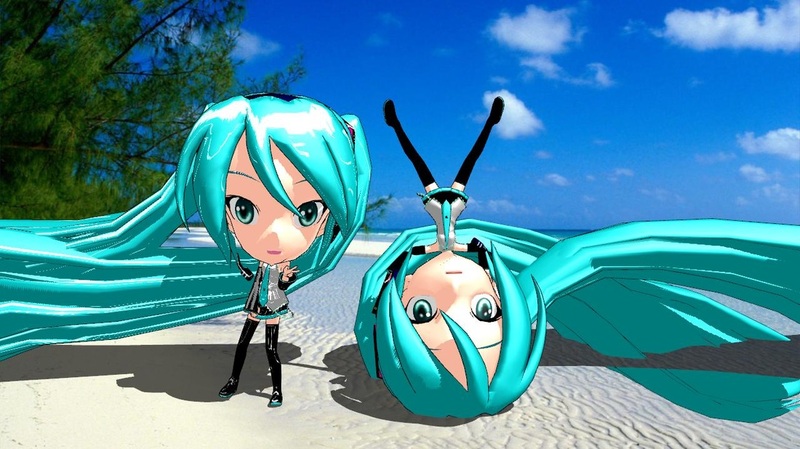 Gymnast Miku has a regular, shiny and soft model, Gym Miku comes in regular and shiny, and School Miku comes in regular and shiny. It's time to start training, Miku-chan! 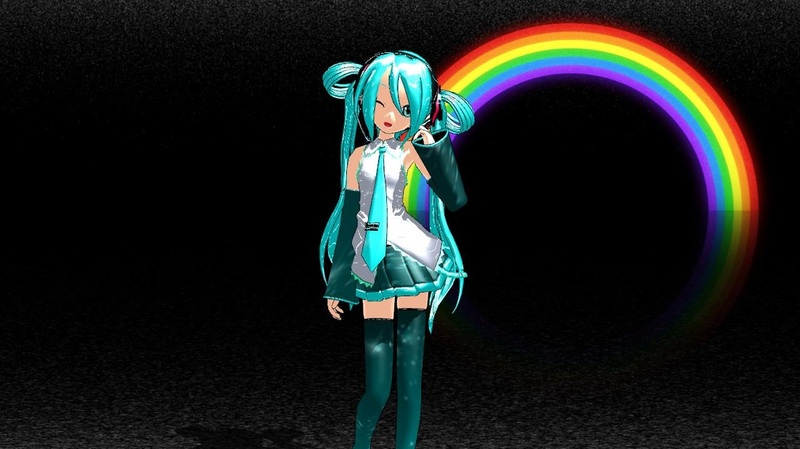 This is the hub for Miku related models. Keep checking back!